and report that on my emoncms web site. Information for those two temp sensors can be found here for DS18B20 and here for AtlasScientific ones. AtlasScientific pH and ORP stamps are using simple asynchronous serial communication protocol. For communicating with them, we will use 2 of the 4 UARTS available on the Beaglebone, UART1 & 4. Yeah… I know, but that’s easier like that : don’t need to type sudo before each command. But keep in mind you are root and you can destroy your Ubuntu. So think before you type ! Here, we can see UARTs are not enabled. So let’s enable them. I used Device::SerialPort library which is quite handy. Code is here on GitHub. This code sets pH stamp in continuous reading and reads output every second. I am working on a web GUI to display the information, send the info to my emoncms website and be able to configure the gizmo. So stay tune ! For the beaglePool, I needed a waterproof temp sensor which I found at AtlasScientific, along with pH and ORP circuit. And I quite had hard time figuring out how all this works. Important : Things are moving quite fast is Beaglebone “young” world and you can install several different distros on it. This article applies to Beaglebone Black running Ubuntu with a 3.8 kernel. See this post for more information on how I installed Ubuntu. 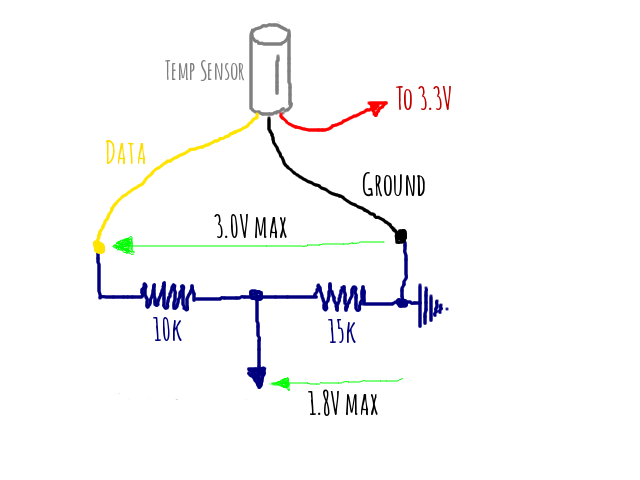 AtlasScientific sensor is an analog sensor which ranges from -20°C up to 133°C matching 0 to 3V. But Beaglebone Black analog input only support up to 1.8V. So first thing to do is to build a simple voltage divider with 2 resistors. I chose 1% tolerance resistor for better accuracy. 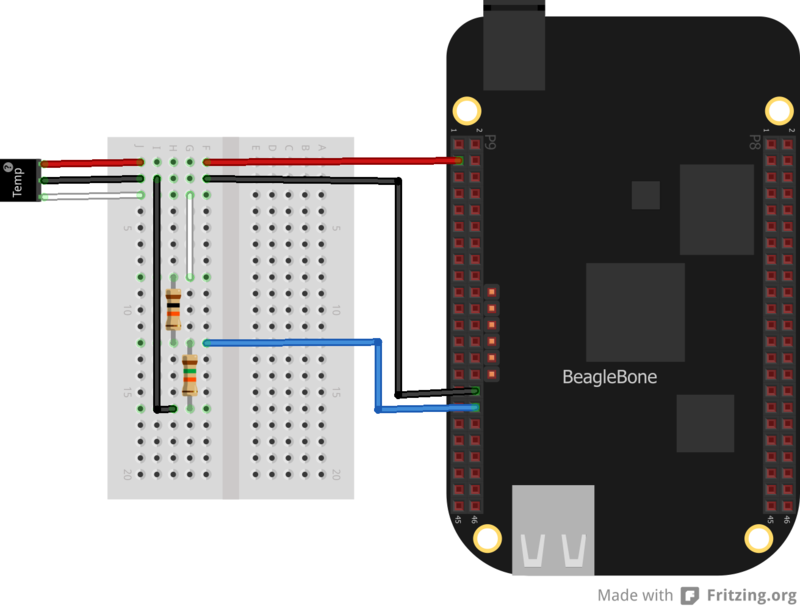 There are a lot of ressources on the web but thing are changing fast in quite young Beaglebone’s world. By default, analog inputs are not enabled. You need to configure the system to enable them. Doing so can be done easily (once you know how to do it…) by using Device Tree and Device Tree Overlays. The last line show iio overlay has been loaded. Here, it is cape-bone-iio which has been added. 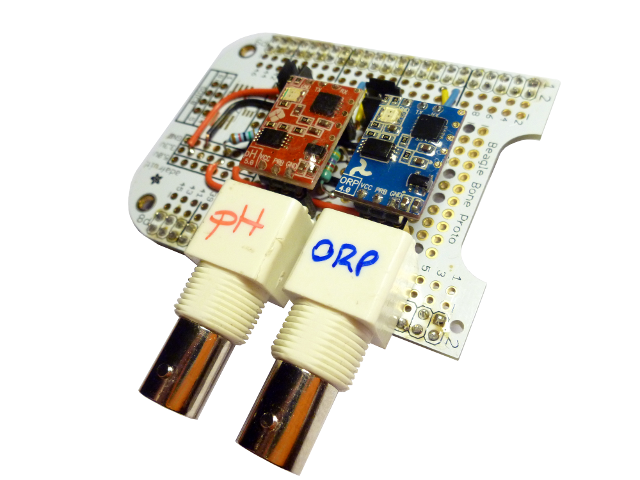 The 2 other entries are here to enable UARTs which I am using for another purpose (ORP and pH sensor). Important : This configuration apply to Beaglebone Black running Ubuntu. The file uEnv.txt may be different for Angström. Also, when overlay is loaded after boot time from the shell, I can see /sys/devices/ocp.*/helper. */AIN* files. When load at boot time using uEnv.txt, they just don’t exists while /sys/bus/iio/devices/iio\:device0/in_voltage*_raw does. Don’t ask me why… Anyway, those pseudo files seem deprecated. My fisrt pool monitoring system was Arduino based (more info here.) It could collect pH, ORP and temperature from my pool and store it on an SD card. But I wanted to send all this data to some web site like my own emoncms. So I decided I’ll give it a try : poolDuino is now becoming bbPool !